During the season, the waters in the Florida Keys are decorated with various colored buoys attached to lobster traps. The symbols are akin to branding cattle. Don’t even think about rustling lobster from someone else’s trap! You could end up in the middle of the ocean with a sinking boat full of bullet holes. Lobsters walk along the ocean floor…. Lobster traps are made for the lobsters to walk right into the trap, it’s easy for them to walk in, but once they are in … they cannot walk out. …. The lobsterman places a piece of fresh or salted fish in the trap. …. (Traps) are taken out on the lobster boat and lowered to the ocean floor on a rope with a floating marker buoy at the other end. …. Have investors been lured into a trap? “In a ZIRP world, debtors are overjoyed, and savers are screwed. …. Imagine you’re a retiree, and you’ve been responsible and saved all your life; you’ve put money in the bank that you expect to pay you interest every month. You probably bought some bonds as well, so you could collect coupons every quarter. In a ZIRP world, you would be getting very little every month from interest…. You would live your retirement years with far less income than you had planned for, or you would need to work far longer in order to save more. “LSAPs (Large Scale Asset Purchases) also appear to have boosted stock prices, … it is probably not a coincidence that the sustained recovery in U.S. equity prices began in March 2009, shortly after the FOMC’s decision to greatly expand securities purchases. This effect is potentially important because stock values affect both consumption and investment decisions. Investors flocked to their brokers and financial managers for help. The financial industry trumpeted the message that individual investors could not beat the market; invest in managed funds. Fill out the forms and they’ll feed your information into the computer. Let the computer do all the work, it’s simple, safe and easy! Trillions of dollars were herded into company managed funds, diversified for safety; protecting the individual investor from catastrophic losses. What happens when the stock market falls? “On a daily basis, almost 90 percent of trading on exchanges is carried out through high-frequency trading and index investing…. We’re seeing a greater concentration of risk among passive index funds and ETFs. The top 10 holders of the FANG (Facebook, Amazon, Netflix, and Google) stocks are all index funds…. Today, index funds account for 43 percent of all stock fund assets, and this is projected to be 50 percent in the next 3 years…. In total, index funds represent $7 trillion of U.S. stock funds that have no active manager. All buying and selling are done automatically. Friend John Mauldin’s article “Bubbles, Bubbles Everywhere” explains the anatomy of bubbles and crashes. How do investors avoid the trap? Market crashes are inevitable. The Federal Reserve and central banks pumped up the current market bubble to historic proportions through their ZIRP. Trillions of dollars have been herded into index funds with a concentration of wealth never seen before. The Fed is now reversing the course and raising interest rates; which will eventually cause the market to drop. What happens when investors get frightened and want to get out of the market? What happens if the big five, controlling 90% of the S&P 500, put in huge sell orders. Will there be a market? Who will take the other side of the trade? Much like water circling a drain, as the market drop accelerates, sell orders trigger more sell orders by the automated traders, causing the market to drop faster and dramatically…. Where will it end? How low will it go? Which accounts will be looked after versus those who take the biggest loss? “Most everyone knows the market is on thin ice and thinks they are smart enough to get out the door ahead of the other guy when the market turns. With computer trading and all the tools available to the big boys, the individual investor will be at the back of the line. The technical term is screwed! Millions of investors took the bait and poured money into funds. If the market turns and becomes illiquid, are they trapped? In a crash people panic. Can they possibly exit without taking catastrophic losses? What is a share of stock really worth? You can do all the technical analysis you want; however, the market is not orderly. It’s only worth what someone is willing to pay at the moment you want to sell. Will investors be faced with two choices – holding on while their nest egg drops by double digits, hoping it will come back in their lifetime – or selling during the panic and taking catastrophic losses? What will their brokers and financial advisors be telling them to do? Many will say hang on – a market crash presents great buying opportunities. Yeah right! Only for those who accumulated cash and patiently waited for the crash. Does the market always come back? In our article, “Will Someone Please Tell The Truth” we looked at the facts. After the 2000 crash, the NASDAQ (adjusted for inflation) has yet to recover the buying power from the previous high. In March 2000 the S&P 500 index reached an all-time high of $1,552.87. Nine years later it closed at $676.53. When adjusted for inflation, it took 17 years (Dec 2016), and a wild ride, to recover the previous buying power. Can you afford to wait for 10-20 years hoping your life savings will recover the buying power it lost during a catastrophic down turn? No one knows when the inevitable market crash will come or how bad it will be. Each person must assess their own situation, time frame, and investment goals. Do a complete financial analysis. How much of your net worth is in the stock market? How much is in bonds, mutual funds or ETFs? Are you comfortable with the allocations in today’s environment? Have a serious discussion with your financial professional.Ask about the small print in the fund prospectus. You may be surprised that they do not have to liquidate your investment as quickly as you think. Reassess your priorities. Is return of your money more important today than the return on your money? Trust your judgment. While your long-term broker may be a friend, they are pressured to keep all their clients invested in their company fee-based funds. Moving some money from stock funds into short-term, safe interest-bearing CDs may be prudent. Learn the difference between a mutual fund versus an ETF.You can trade an ETF online during trading hours. Mutual fund buy/sell orders are placed, and you don’t know your yield until the end of the trading day. Today investors can unwind their positions and avoid the trap. As John Mauldin cautioned, “You are right to be fearful. 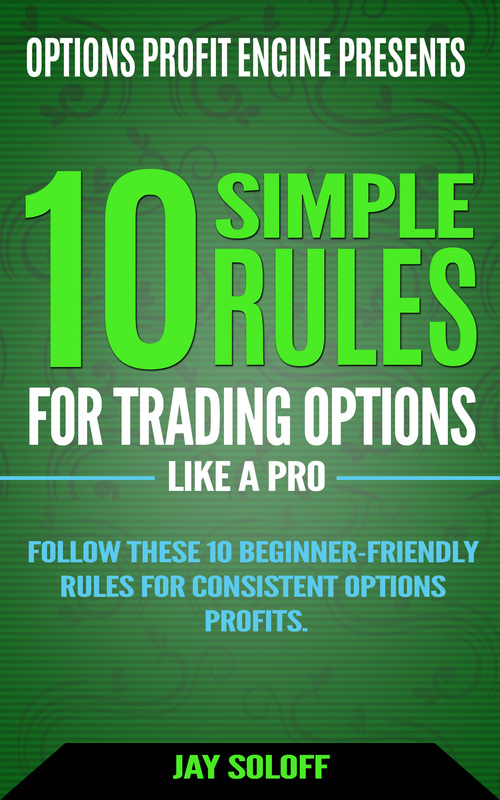 We just don’t know when.” Once the programmed traders sell alarms goes off, it will get ugly!